Mirror, Mirror on the wall, who is the fairest of them all? Snow White's tale is one of the classics we all know and love. 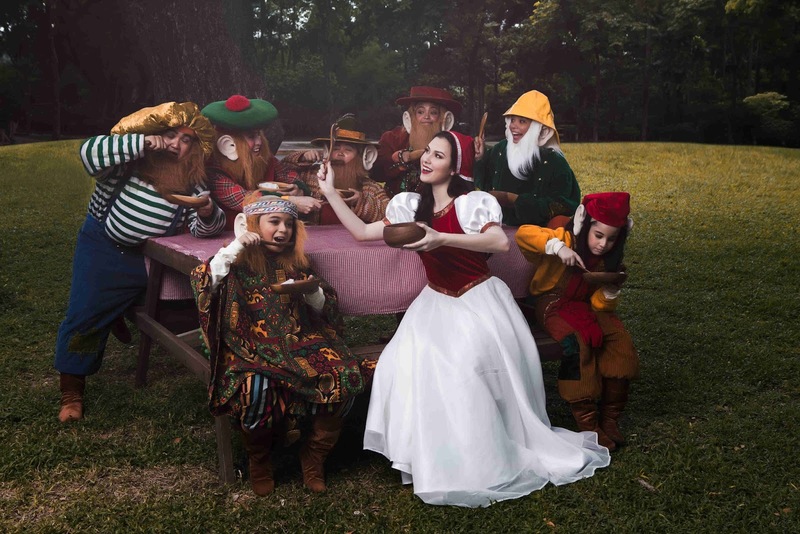 And this August 15, Repertory Philippines returns onstage with its own staging of Michael Valenti and Elsa Rael’s adaptation of the classic fairy tale --- Snow White and the Seven Dwarfs. But, Rep’s version is more than just a simple retelling of Snow White. It features an enthralling fusion of live music with mesmerizing choreography and classical ballet unfolding right before your very eyes. Joy Virata, director of the play, highlights the experience the play will bring to kids and kids at heart who will watch the fairy tale live for the first time, “The story is of course the same as that of Disney Version but the songs and dialogue and the way it’s staged and choreographed is different. And it’s live. Kids like to be entertained. Those who will see it for the first time are always enthralled by seeing something that’s live. Theater is live entertainment,” she shares. We all know her story, with her stepmother, the Evil Queen, and seeking refuge with the seven dwarfs. Hers is a unique tale of many different experiences. She suffered cruelty, loss of home and family, and trusting new people in her life. And most of all, triumph of good over evil. 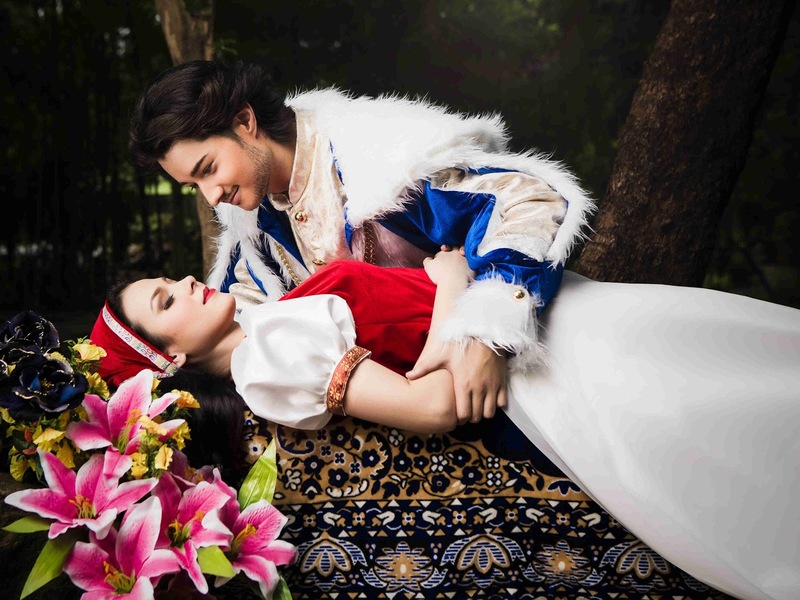 “Snow White’s story shows that you can appeal to the good in everyone. You can infect people by being good,” Virata says. Starring Christine Flores, Alana Vicente, Becca Coates, and Dani Prieto (understudy) as Snow White; Bituin Escalante, Ring Antonio, Pam G, and Christine Flores (understudy) as the queen; and Hans Eckstein, Jos Jalbuena, Jeff Flores as the prince/woodsman, Snow White and the Seven Dwarfs is a fairy tale with life lessons that transcend generations. 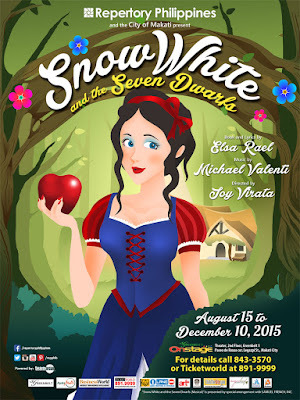 Snow White and the Seven Dwarfs will be staged from August 15 to December 10, 2015 at Onstage Theater in Greenbelt 1, Makati City. Ticket prices range from P400 to P600. For more details on the play, call the Repertory Philippines at 843-3570 and book tickets through TicketWorld at 891-9999 or visit their website at www.ticketworld.com.ph.